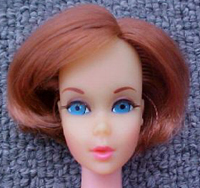 This is like the earlier Hair Fair Barbie - except this one includes the body instead of just the head. 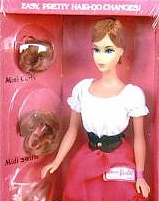 This is probably the rarest Mod Barbie Doll and is hard to find and consistently sells for a premium price. Originally it was thought to be a Sear's Exclusive Doll, but it was not. She was sold by many retailers.